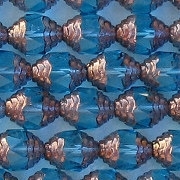 10mm from hole to hole, with 3 molded, stepped, wavy ridges at either end, and facets around the middle. 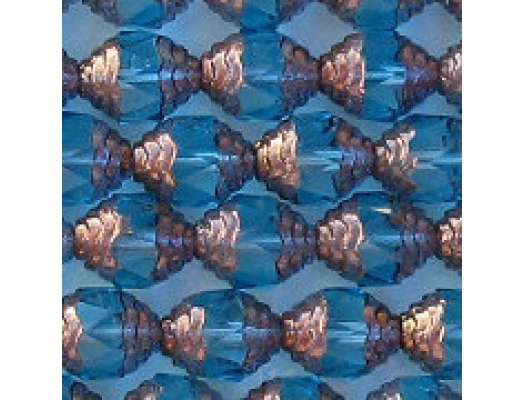 Translucent aqua with a bronze-colored coating on the ridges. The thumbnail picture above looks a little dark. That's because the beads are surrounded by other beads. I would say that the actual beads are a little brighter than that. 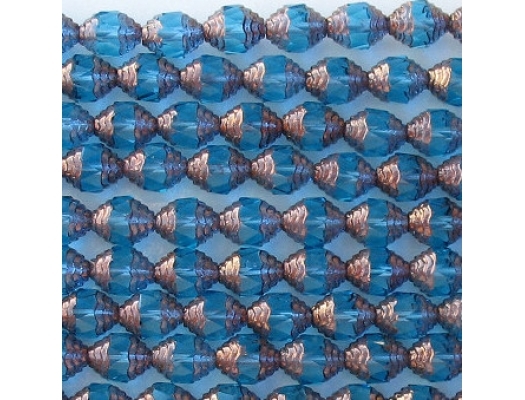 If you enlarge the picture (by clicking on it), you will see that the top row of beads is considerably brighter.